Orchard Sketch. 8x10, oil on linen panel. 2014. 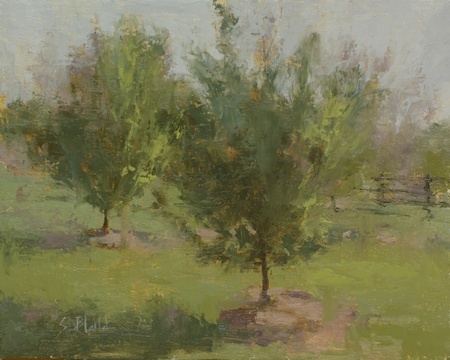 I did this small sketch as an exercise in trying to get a quick, loose rendering of the trees in the orchard at Riverside Potomac. I had wanted to try this on location, but the weather wouldn't cooperate and I had to do all the painting in the studio.